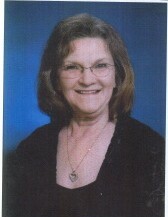 Obituary for Sharon "Sherry" L. (Gay) Mikkelson | Clark-Gashaw Mortuary, Inc.
Sharon "Sherry" Mikkelson, 75, of Osborne, KS died on Sunday, April 7, 2019 at Parkview Care Center of Osborne, KS. She was born in Minot, ND on March 10, 1944 to Einar & Ruth (Simonson) Gay. Sherry was a retired restaurant & bar manager. She was preceded in death by her parents and her husband, Tom Weeth on March 9, 2019. Sherry is survived by a daughter: Jodee Mikkelson of Grand Fork, ND; 3 sons: Steve (Kathy) Mikkelson of Portis, KS; Greg (Kiki) Mikkelson of Dracula, GA; Jon (Beth) Mikkelson of Hamilton, MN; 8 grandchildren & 6 great-grandchildren.